As the season closes in we look at some of the big time transfers that should make heavy impacts state wide during the 2012 season. High profile linebacker/fullback James Banks (6-1 220 Sr.) of Sheldon will be one of those kids that could be a difference maker on a team that is always in the mix for a state title. 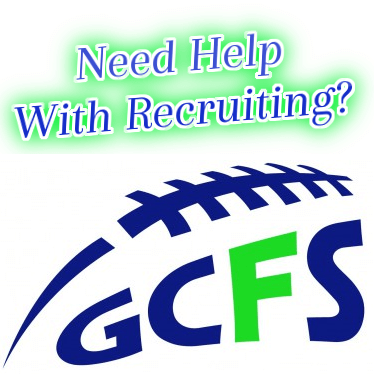 As reported earlier the Irish have three quality transfers that are considered some of the state’s top athletes in Banks, Yadie Dunmore (5-11 175 Jr. ATH/DB) brother of all everything athlete Oshay Dunmore, and Mike Ralston (6-6 240 Sr. TE/DE) who transferred from Jesuit and already has a D1 offer from Northern Colorado. Banks made the transfer from 5a Marist last season after earning 1st team all league honors and completely dominating the competition within the conference. He spent his freshman and sophomore seasons at 6a South Eugene, and did very well starting both years and earning all league honors as a sophomore. Most transfers are made due to specific issues with the athlete, but not so in this case. James is a kid that will be successful in life regardless of what he decides to do. Marist is a good school, but did not provide a quality competition level as the Spartans blasted almost every team they played. The majority of games were over by half time which is a pretty good problem to have, but the excitement factor was lacking. He may be the smartest high profile athlete in the State of Oregon with a 4.2 weighted GPA and an 1870 on the SAT. He has taken Calculus at the University of Oregon and received an A for the last three terms, making it all the more apparent that he would like a university that is going to challenge him. Banks feels like he has a lot to prove at the highest level and will get his opportunity starting in a few short weeks. As a sophomore he finshed 4th in the state in tackles (106) and was named the team Defensive MVP, with 417 rushing/receiving yards and 3 Tds offensively. James was selected to play on NEI-South at the national 7 on 7 tournament in Vegas as one of the top perimeter athletes in the northwest, and will now get a chance to team with many of his life long friends at Sheldon and try to win a state title. When asked about the up coming season Banks says, ” We’ll have a very solid team this year with all of the top kids already in the program, plus the one’s that have transferred in…Everyone has the main goal of a state championship and we all know that we will have to work extremely hard to get it”. He continued, ” I will be playing LB and RB and will actually play split out sometimes…Everyone has been very helpful with the transfer helping me get caught up with plays, traditions, and expectations…Its a great group of kids and I couldn’t ask for a better group of coaches”. Banks will have played four years of Varsity football when all is said and done, and is a SWC Defensive Player of the Year candidate that could lead the state in tackles if the Irish don’t blow everyone out. He might not be the biggest or the fastest, but he’s a flat out winner in every sense of the word and will be a legit college football player. His addition to this Irish squad could be what puts them over the top if we are talking about a state title. Sheldon has the best two way player in Oregon in Connor Strahm, and now a leader in Banks who will be crucial to getting W’s against top teams. They happen to be very close friends and two of NEI’s most talked about student/ athletes. We wish the entire program continued success and look forward to getting down to Eugene and seeing Banks and the Irish do work.